My friend sits across the table telling me about her daughter’s talent on the piano. How she had encouraged her to nurture the seeds God has planted in her heart, let it grow until it overflows into the lives of others. Because you know? There’s not enough of that in this world. There can never be too much of the good stuff running over. Every year a few of the teachers at my daughter’s school take the children on a field trip to a local apple farm. The children learn about harvesting, raising small livestock, beekeeping, and how to make pressed apple cider. 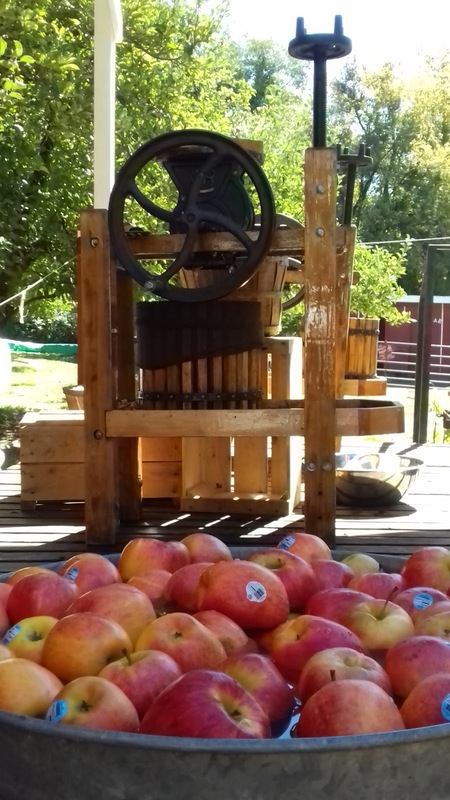 The kiddos lined up by the cider press waiting for a chance to toss in the apples and turn the hand crank to grind the apples into a wooden bucket. One by one they stood on the platform to press the apple mash. Golden liquid trickled down through the spout into a new bucket. Farmer funneled the liquid amber into a pitcher for all to taste. As a woman, as a mom, there are moments that press me in, and sometimes what overflows from my heart is plain nasty. It comes pouring out like rancid, rotton drabble that is as empty as the pitcher I poured it from. Gossip comes too easily when “I can’t believe what she said,” and “I can’t believe what he did” come down like the judge’s gavel, “Don’t they know it’s wrong?” (Losing by Tenth Avenue North). We lost a loved one who used to say, “Actions speak louder than words.” So when he tragically took his own life, the depth of that motto was profound. Actions do speak. What is my life speaking? What am I saying with the way that I live that my little girl can model after? How do my actions speak love to my husband? How does anyone know what I believe if what comes out of my heart leaves a bitter taste in the mouth? Post a guard at my mouth, God, set a watch at the door of my lips (Ps141:3). May the abundance of God’s love poured into our hearts come brimming over the edges as praise! May we turn to the grace spilled out in love upon written tablets of stone that we may be set free. May we press in to the Word that changes us from the inside out. May we experience the power of the Spirit to fill us up and make us more like Jesus. 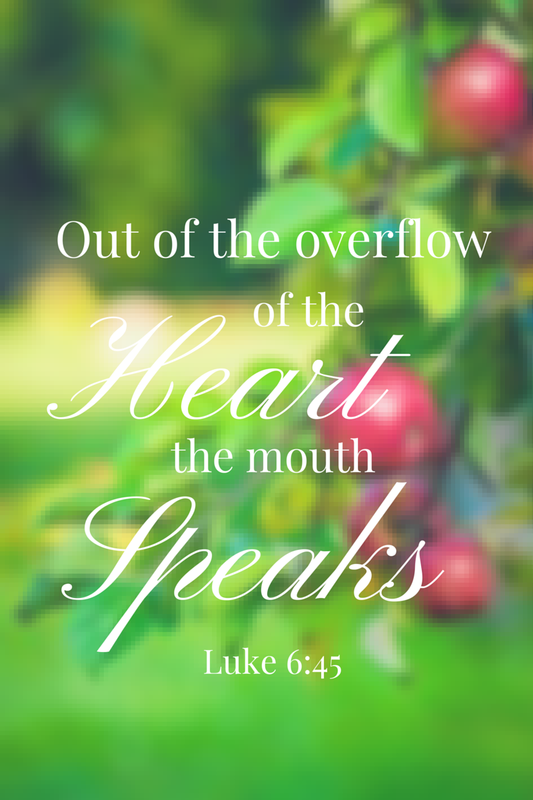 May the words of my mouth and the meditation of my heart be pleasing to you, O Lord, my rock and my redeemer. When is the Right Time to Awaken Your Heart? Having an only child despite infertility and pregnancy loss, I held the belief that this was my one chance at motherhood. I had placed my worth in getting it right. Do you ever feel restless and don’t know where to turn? Maybe you are falling asleep on your Bible. Your heart is more worn and thinned-out than the knees of your leggings for lack of prayer. I am learning that when I give my limitations over to a loving God, he transforms my pain to produce my purpose. This is what it means to be restored by grace. I believe you can be renewed in the weary days. My desire is to serve you with resources that will inspire your faith and help you awaken to God’s heart for you. Let’s be stronger together. You can subscribe below to join our community and receive free grace-filled devotionals for your encouragement. Fill in your name & email for a secret devo each month, plus more good stuff I won’t share anywhere else.